• Put wheat flour in a flat vessel bowl. 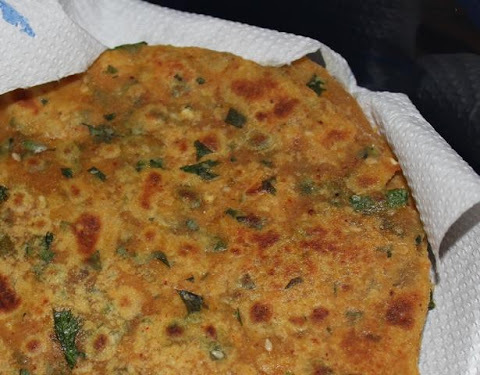 • Mix all the ingredients in it including the Methi leaves. • Add 1 tsp oil and knead it. Let it stay for 15 minutes. • Then make even size small balls of the dough. • Roll them separately with a rolling pin into a round shape. • Cook on a flat tava or fry-pan, spreading a little oil/ghee on either side, until golden spots appear. • Repeat the same with the other side. • When evenly roasted remove it from the tava. • Repeat this for all the balls. • Serve them hot with butter or chutney or curd or pickle. Wash Rice and all Daals and soak them for at least 4-6 hours. Drain water from Rice/Daal and coarsely grind them with Yogurt (if possible, do not add any additional water while grinding). Food processor or blender may be used. In a medium size mixing bowl, add batter from above and mix in the following: Ginger, Garlic, Green Chilies, Salt, Sugar, Ajwain, Turmeric Powder and Doodhi/Lauki. Mix well. In a small skillet, heat 1 Tbsp of Oil slightly. Add Curry Leaves and Red Chili Powder. Add this Oil mixture to the above batter and mix well. Cover and let this batter rest for 6-7 hours or overnight (no need to refrigerate). Add Eno Fruit Salt and mix well to make the batter foamy. Heat a thick bottom non-stick shallow Pan,spread some oil. Take some mixture and spread into a thick circle. Sprinkle Sesame Seeds over the top of the batter. In a small skillet, heat remaining 2 Tbsp Oil. Add Mustard Seeds and let them pop. Switch off the stove. Add Asafoetida(Hing) to the oil. Drizzle this oil seasoning over the top of the sesame seeds. Cover and cook for 12min on medium flame.Flip and cook the other side for 10 min till light golden crust forms. Tip: To prepare the handwa, you can use the handwa vessel and bake in the oven. Mix water, flour, buttermilk, salt and turmeric to form a batter. Heat oil in a heavy pan, add batter. Stir vigorously and evenly to avoid lump formation. Cook till the mixture does not taste raw, stirring continuously. When done (about 7-8 minutes), pour the mixture in a large flat base plate. Spread as thin as possible with the back of a large flat spoon. Use circular outward movements as for dosas. When cool, cut into 2" wide strips. Carefully roll each strip. 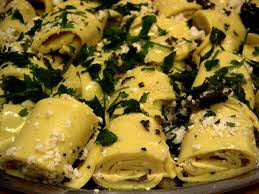 Sprinkle coconut and coriander all over khandvi rolls. Heat oil in a small pan. Add cumin, asafoetida,mustard seeds,curry leaves and chillies. At last add sesame seeds to the heated oil and immediately pour over rolls. Serve it as it is or with chutney. Cut the paneer into cubes and fry them in butter till golden color. Remove into a dish and add a cup of hot water to the fried paneer cubes and let them sit in it. This makes Paneer softer. Warm milk and soak saffron(Kesar) in it. Make Onion Paste and Tomato puree separately in a blender and Keep aside. In a pan, heat butter. Add the bay leaf(Tej Patta), cloves, green cardamom and fry for a minute, then add Onion paste and fry till its turns pink and then add the ginger garlic paste. Fry both till the onion paste turns golden brown. Then add cashew paste along with all the spice powders. Simmer and then add the tomato puree and crushed kasuri methi. Mix well. Add about 1/2 cup water and bring to boil then add the fried paneer.Simmer and cook till it thickens. When the gravy is thick enough, add the cream and simmer for another 10 mins. Finally add the milk that has the saffron. Optionally, you can add orange food color if you want richer color. Let the curry sit for 10-15 mins before serving.Garnish with coriander leaves. This tastes great with Jeera Rice, Tandoori Roti, Chapati, Paratha or Naan. Soak both the dals separately for about five hours. Remove the skin from the moong dal and grind both the dals to a paste. Mix both the pastes with other ingredients. Beat the mixture to make it light and fluffy. Cover it with a tight lid and keep aside in a warm place for about five hours to ferment. Combine the oil, water and citric acid in a small vessel and heat it. When it starts boiling, remove from the fire and add half a teaspoon of soda-bi-carb. Stir with a spoon and pour it in the fermented batter. Mix well. Take a vessel big enough to hold a plate having an eight-inch diameter. Add about four cups of water in it, and place a metal ring in the center to put the plate on. Cover the vessel with a tight lid and boil the water. Meanwhile, grease the plate with oil and pour the fermented batter. Place it on the ring inside the vessel. Cover and steam for 15 minutes. The batter will rise and make spongy dhoklas. Take out the plate carefully and cool for about 10 minutes. Cut into square pieces and serve in a plate. Prepare the tempering by heating oil and mustard seeds. When the seeds stop spluttering, add sesame seeds and cover with a lid. Switch off the gas and wait till the spluttering stops. Pour over the dhokhlas evenly. Sprinkle coriander leaves and serve hot or cold with chutney. 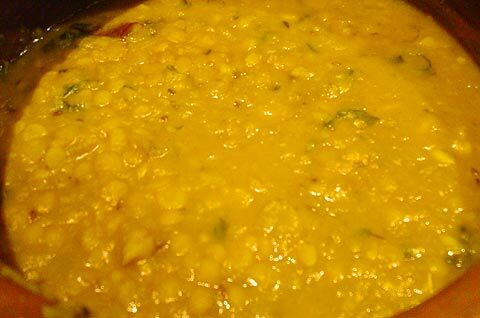 Wash toor daal in 4 changes of water, then set to cook. put enough water in the toor dal to be about 1 1/2 inches above the dal. If you don't have a pressure cooker, it should take somewhere around 45 minutes for the daal to become soft. In a Saute pan add oil, cumin, finely chopped onion and green chillies. Saute until the onions are transparent. Add diced tomatoes and saute for 2 more minutes. Check the dal to make sure it is soft, then mash with a potato masher until you have a porridge-like consistency. If you need to retrieve water from the pan, then do it beforehand. Just remember, you can always put the water back in, if there isn't enough, but you can't take it out once the dal is mashed. After the dal is mashed add the saute mixture. Add red chili powder for more heat if necessary. Add garam masala, salt and sugar. stir over heat for 2 minute and it is ready. Serve with Phulka, Roti, Chapati, Paratha or with Plain Rice / Jeera Rice. 1) Shallow fry paneer pieces. 2) Cut onions thin and lengthwise.Heat 3-4 tbsp vegetable oil and fry onions till they become brown in color. 3) Boil 2 tomatoes, peel tomatoes and make its puree without adding water. 4) Now we will make a mixture for gravy. In a bowl, mix the following ingredients together coriander powder, garam masala powder, red chili powder, tomato ketchup, tomato puree, 1 cup milk. 5) Heat a kadai, melt 3 tbsp butter. Stir by adding ginger-garlic paste. Add fried onion. After adding onion stir for a minute and then pour the mixture we prepared for gravy and stir. On a medium low heat cook the gravy by covering the kadai with lid. Add salt to taste and fried paneer pieces. Bring it to boil for 2 minutes. 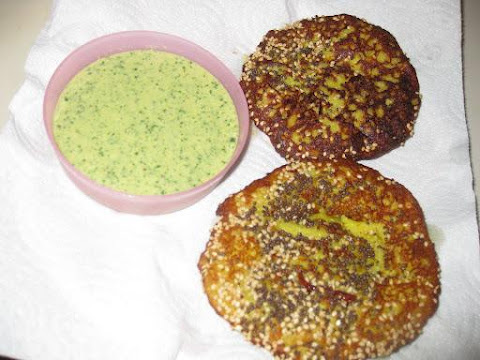 Garnish with cilantro(Kothmir/Dhania). 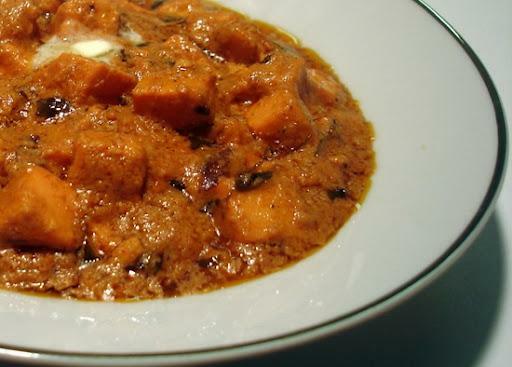 Serve hot with naan or Tandoori Roti. Take Maida in any utensil. Make a little crater in the middle of the Maida with your hands. Now put curd, baking soda, salt, sugar and oil in the crater and mix these properly with Maida using your hands. Make 10 equal sized balls of the dough. Take one ball of Maida, apply dry flour and roll into a round circle(5 to 6 inches in diameter). Spread butter/Ghee on it evenly. Fold the rolled Naan into half(forming a semi circle), then again apply butter /Ghee on this folded section. Now double this fold as it takes the shape of a triangle then apply dry flour to it. Then prepare by rolling it like a paratha on all 3 sides(thinly) and make them ready. Place this rolled Naan in the Tandoor to cook. After one side turns brown flip the Naan over to the other side. Naan is ready. Take out Naan on a plate and apply Ghee on it, Cut into 2 halves using a Naan cutter (Optional). 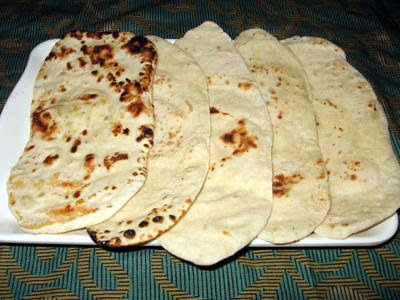 Prepare all Naans in this same manner. Heat oil in a deep bottomed pan, add the cumin seeds, chopped onions and the ginger garlic paste, fry till brown. Add the chillies and tomatoes and fry till they are soft and pulpy. Add turmeric powder, garam masala powder, salt and little water so that all the masalas are well combined. Tastes yummy with Roti/Naan, or even with Bread. Boil the vegetables (potatoes, carrots, french beans, cauliflower) with half a tea spoon of salt and a cup of water. When done, mash all the vegetables with the help of a table spoon or Potato smasher. Set aside. Heat oil/ghee in a pan, add cumin seeds (optional). Add chopped onions and fry until they turn light brown. 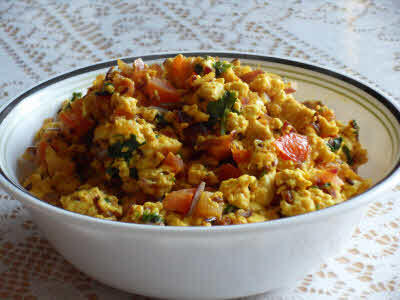 Add turmeric powder, tomatoes, capsicum, chilli powder and green chilli, and fry for 2 - 3 minutes. Now, add ginger and Pav Bhaji masala. Fry till the oil surfaces. Add all the mashed vegetables, put salt as required and some water if needed. Let it Boil for few minutes. Now your bhaji is ready. Slit Pav horizontally, leaving one edge attached(like an open book). On a hot pan, melt some butter. Arrange 2 or 3 buns on the pan. Roast both the sides of the Pav. Spread some butter on the inside of the Pav and roast it till it becomes brown. Your Pav is ready! Garnish Bhaji with Coriander and finely chopped Onions. 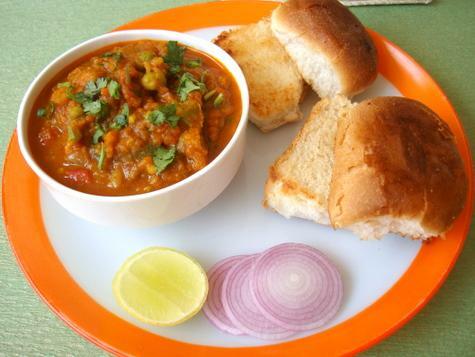 Serve Bhaji with Pav and lemon wedges. Clean, wash and soak the daal overnight. Grind it into smooth paste. Heat oil in a pan and drop a spoonfuls of batter and fry till golden brown. Take the hot vadas and put them in cold water for 2-3 minutes. Now Take them out of water, squeeze out the water and keep aside. Blend the curd(yogurt) and little water until it is smooth. Keep in refrigerator for an hour to get chilled. Add salt, red chili powder and cumin powder. In a deep dish arrange wada and pour dahi over them. Now add Imli (tamarind) chutney and green chutney. 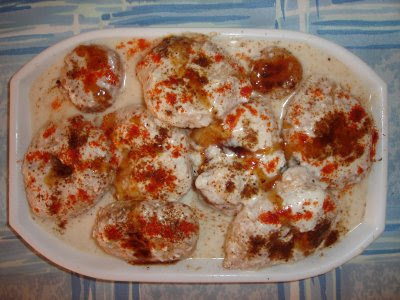 Serve the dahi vadas chilled.